Islamophobic incidents are up, but so is Muslim-American engagement in politics. 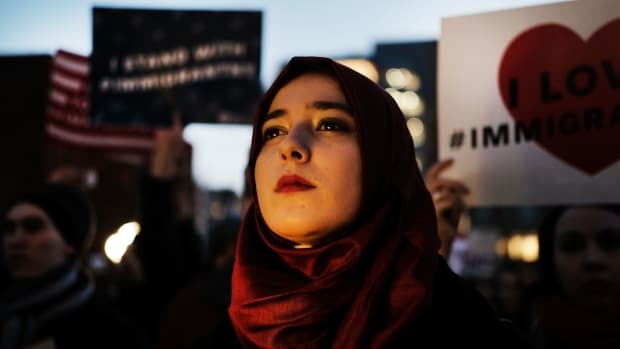 Muslim-American community advocates recorded a surge in reports of Islamophobic incidents this year amid what some say is the government&apos;s sanctioning of xenophobia directed at their community. Despite this uptick in bigotry, there&apos;s been an unprecedented number of Muslim Americans running for office in the upcoming mid-term elections—a sign, some say, of a so-called blue wave. 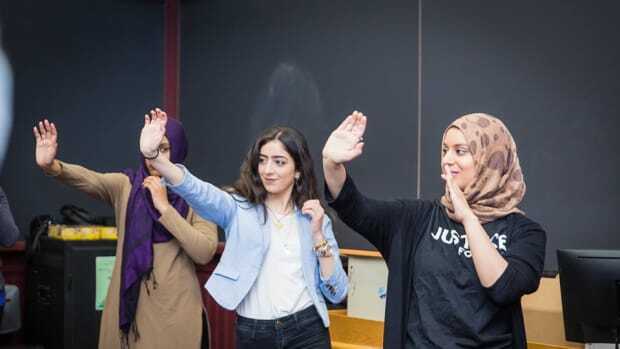 Self-reported instances among Muslim Americans of experiencing bias skyrocketed by 83 percent from the first to the second quarter of the year, according to a report released late last week by the Council on American-Islamic Relations, a national advocacy group. Hate crimes were up 21 percent. The organization received a total 431 reports of incidents involving an identifiable anti-Muslim bias from April to June; in the first three months of the year, there were 235 such reports. There are a great many reasons why the number of reports rise and fall—sometimes discriminatory treatment becomes commonplace enough for people to see it as par for the course, Zainab Arain, CAIR&apos;s research and advocacy coordinator, tells Pacific Standard. But she says the quarter-on-quarter difference seen in the first half of 2018 is remarkable. "There&apos;s just this general, pervasive atmosphere of anti-Muslim hate, especially when we have government agencies putting it forward," Arain says. Arain spoke specifically of the surprise Supreme Court decision last month to uphold President Donald Trump&apos;s travel ban affecting five Muslim-majority nations. Arain says that third-quarter Islamophobic incident reports from just after the court decision may reveal whether it emboldened the perpetrators of grassroots hate crimes and prejudice against Americans of Muslim faith. For Arain and many other observers, America&apos;s experience with Islamophobia is a barometer for broader trends in American xenophobia and anti-immigrant sentiment. "A lot of the rise in anti-Muslim bigotry is also related to the rise in public displays of white supremacy and white nationalism," Arain says, adding that anti-Muslim groups have frequently "coordinated with white nationalist militias to host anti-Muslim rallies across the country." But on Monday, the Associated Press reported that Muslim Americans were running for office in record numbers, with an initial group of some 90 candidates nationwide, pared down in primaries to about 50—still a higher number than ever before, according to the AP. "What&apos;s happened, we&apos;ve seen, is a general political awakening of sorts within the American-Muslim community," Arain says. "There&apos;s a greater urgency to organize and to increase not only civic participation but political participation in the system and to really make the issues of our communities heard in a a sustainable, systematic way." That&apos;s why San Diego schoolteacher and community organizer Fayaz Nawabi chose to run for city council. "The Trump administration has played a role in the rise of Islamophobic incidents because this is the first time the sitting president has encouraged Islamophobia," Nawabi says. "The Trump administration has also played a role in the rise of American-Muslim candidates that are running, because the American-Muslim community is tired of being targeted by this administration." But Trump can&apos;t take all the credit for the groundswell of Muslim Americans running for office. Nawabi, hailed by the Washington Post as part of a "blue Muslim wave," stepped out of the race in April due to health concerns. But he continues to advocate for Americans—and not just Muslims. 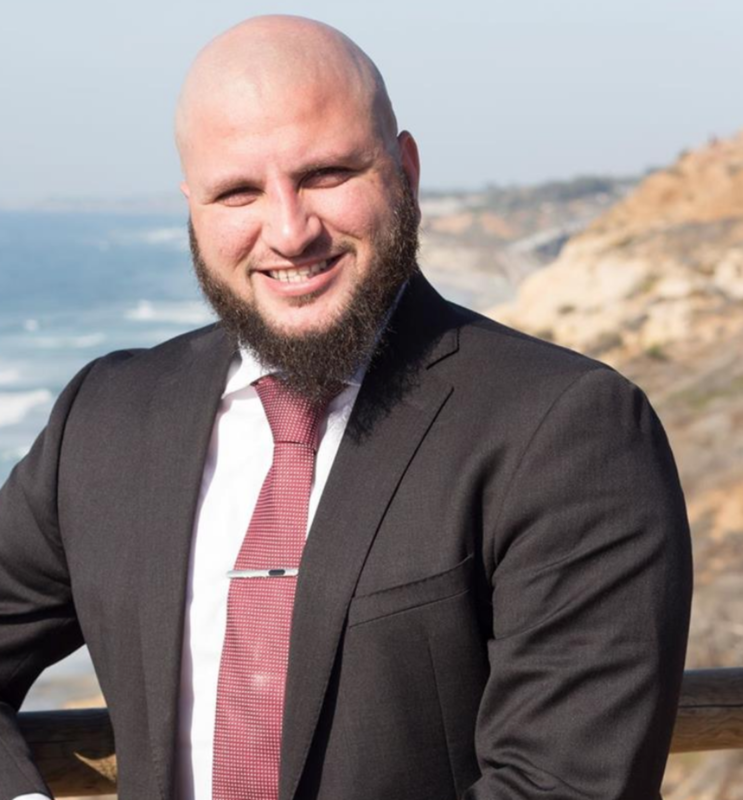 He spoke to Pacific Standard just after meeting with a fellow Muslim-American community leader on hunger strike as part of a demonstration at the local San Diego Immigration and Customs Enforcement office. "This is just one example of the kind of intersectional work between the American-Muslim community and the immigrant rights community that has become a reality since the inception of this administration," he says of his friend&apos;s Abolish ICE hunger strike. Like Arain, Nawabi believes that "xenophobia can be directly linked to Islamophobia." 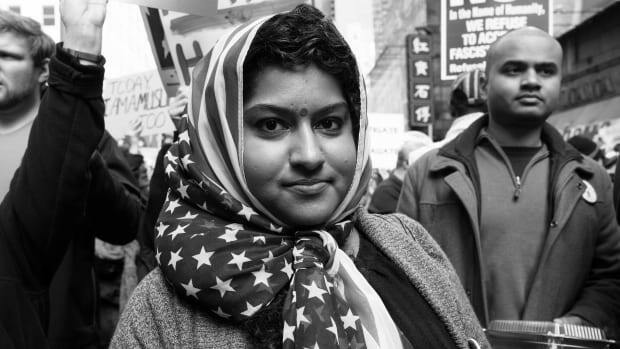 Arain says that a number of CAIR local chapters across the nation cooperate with non-Muslim groups—particularly immigrant rights and civil liberty groups and that she would be interested in seeing a joint effort to use Islamophobic incident reports combined with other organizations&apos; reports to create a working barometer for the ebb and flow of xenophobia in America. Islamophobia itself affects a broad spectrum of Americans. The CAIR report on the recent surge in Islamophobic events notes that, while people of Middle Eastern and North African origin were most commonly targeted for anti-Muslim harassment, Islamophobia affects Americans of all ethnic backgrounds, including African and South Asian Americans. 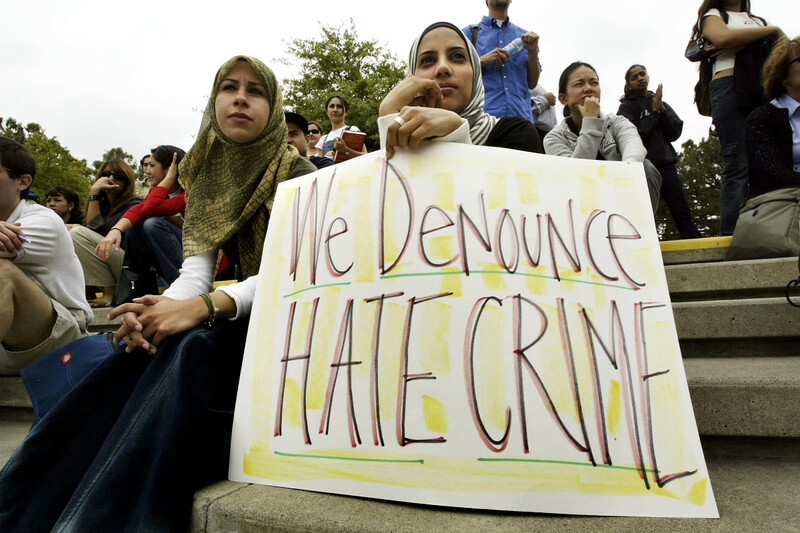 Many non-Muslim Americans have also historically fallen victim to Islamophobic hate crimes. Muslim-American community leaders like Arain and Nawabi have continued to express belief in and the necessity of actively engaging with the democratic system, despite apparent setback&apos;s like the Supreme Court decision on Trump&apos;s travel ban. Just after the ruling, Laboni Hoq, the Asian Americans Advancing Justice-Los Angeles advocacy group&apos;s litigation director, maintained faith in the country&apos;s legal system. "Courts still matter," Hoq told Pacific Standard at the time. "If you look at the courts that first heard the Muslim ban challenges, they mostly ruled against it. We need to do the work at the local level, so first these programs don&apos;t get instituted." Marwa Rifahie, a civil rights attorney with CAIR&apos;s Los Angeles office, underlined after the ruling her belief in the potential of November&apos;s mid-term elections. "Congress still has the potential of being reshaped. There are still different balances of power at play," she said. 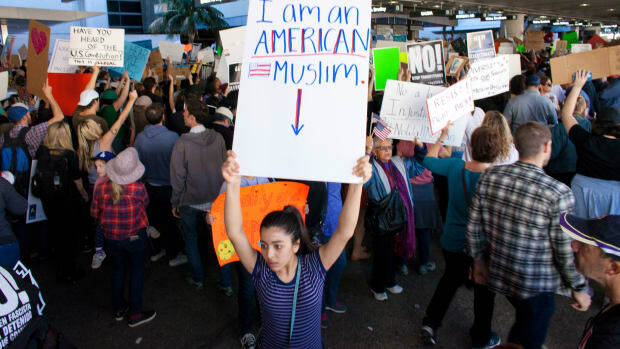 Most of the Islamophobic incidents detailed in a new report involved restricted travel following the administration's repeated attempts to enact a travel ban affecting people from Muslim-majority nations. Is Federal Data Misstating the State of Hate? Anti-Muslim hate crimes are recorded at a rate of less than half their Jewish counterparts in America. Those numbers may not paint a full picture. 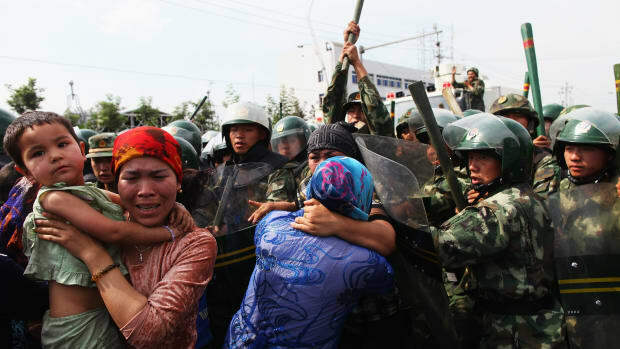 Is the White House in Any Position to Help Chinese Muslims? Rights advocates suggest the president's hostile rhetoric and policies on American Muslims jeopardize his administration's ability to advocate against abuses abroad.